The Luxbanx Medium Octagonal Softbox from Impact is a versatile 60"" diameter light shaping tool for strobes that features a soft white interior, removable front diffuser and removable inner baffle. The diffuser and baffle can be used together for maximum softening of the output. 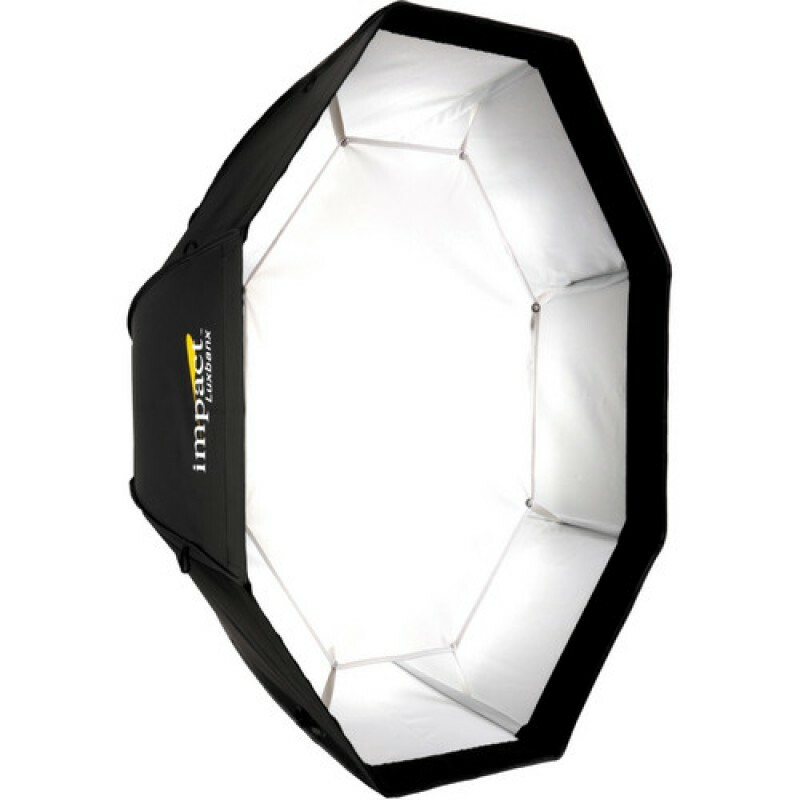 Removing the inner baffle will give you a more crisp light quality with higher contrast, while shedding the front and inner diffusers turns the Luxbanx into a large reflector with maximum brightness and contrast. 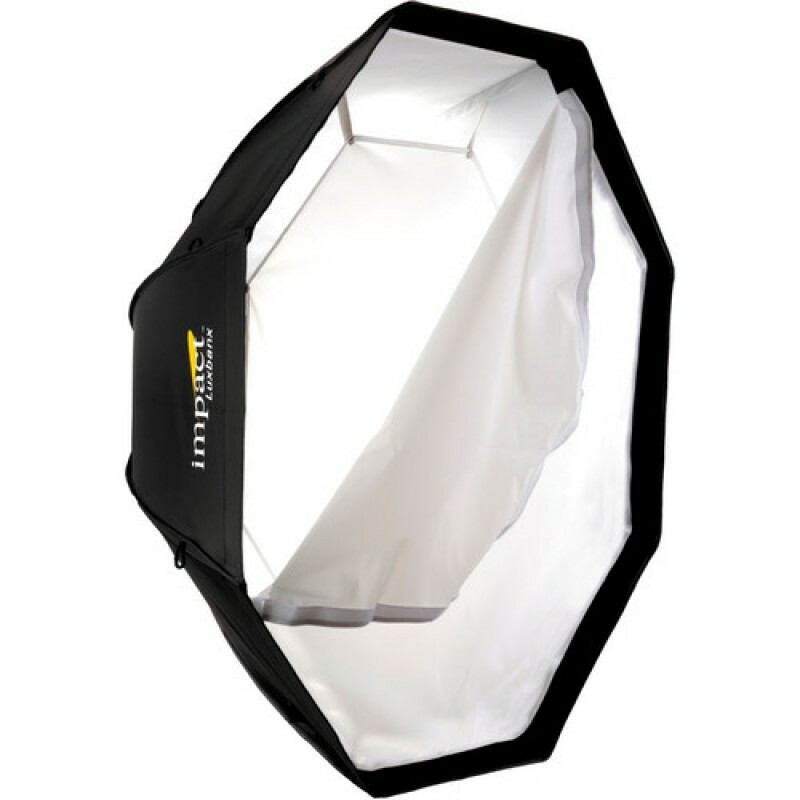 The versatile Luxbanx has an additional control via the optional fabric grid which mounts to the recessed lip of the softbox with touch-fasteners. The grid narrows and concentrates the light's beam forward, controlling spill and adding directional control to the Luxbanx's attributes. The large surface area of this octagonal-shaped softbox gives you a unique wrap-around quality of light that gains emphasis as you move it closer. Catchlights in the eyes of your subject are round and natural. 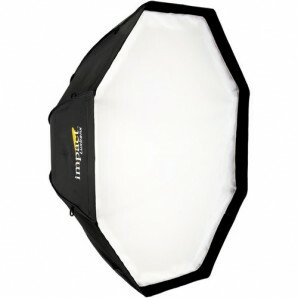 Every Luxbanx comes with a carrying case and a spare Flex Rod. Separate purchase of a speed ring that matches your strobe's mount is required for use. Impact makes models to fit most popular brands.